Like the decision to install the oil rig, the removal is also part of long-term strategic plan. It will come back. China’s seemingly surprising decision to remove oil rig HYSY 981 from the disputed waters has generated some interesting discussions (here, here, here, here, and here). So far most discussions have focused on why China made the surprising decision. Several possible explanations have been offered, such as bad weather, U.S. pressure, the mission being completed, and so on. Although these explanations are interesting, they show several problems, reflecting problems in much current analysis of China’s strategic moves. Problem number one is that too much attention has been focused on why China made the decision to remove the oil rig. Unfortunately many analysts are making the same mistake they made in analyzing China’s earlier decision to install the oil rig in the first place by looking at specific details of the decision. They were first surprised by China’s decision to install it back in May, and now they are surprised again by China’s decision to remove it. There might be an element of surprise when it comes to the exact timing of the decisions, but none of this should be surprising to long-time China strategy watchers. China’s moves in recent years have clearly shown that it will take seemingly bold moves to defend its territorial integrity and core interests. Call it assertive (here and here) or even aggressive, but the general pattern is now clear: a new grand strategy is emerging. Moreover, how much difference does it make that China only removed the oil rig one month ahead of schedule? Will this change how Vietnam views China’s long-term plans and resolve? Unlikely. Will China stop moving around its oil rigs? Impossible. Will this change U.S. efforts to pivot back to Asia? I doubt it. Thus, too much focus on why China removed the oil rig will only neglect the more important issue, which is that there will be more oil rigs in the South China Sea in coming years. Problem number two (a related one) is too much focus on China’s specific foreign policy decisions. As a Chinese saying goes, “we only see the trees but not the forest (只见树木，不见森林).” While many believe that China’s foreign policy is essentially a reactive and incoherent one as China struggles to react to crises here and there, such claims underestimate how consistent and coherent China’s foreign policy can be. Many in China also doubt that China has a well-developed strategy (here and here). What they fail to see is that a well-developed strategy at the macro level is not inconsistent with reactiveness and some degree of inconsistency at the micro level. A real possibility is that China has already designed a grand strategy to enhance its national interests in the next 20 to 30 years. Some might call it “peaceful rise/development” and others might call it “keep a low profile.” Either way, the important point is that China has clear objectives as to what it wants to achieve and how it plans to achieve it. But it could be that the manner in which China should implement this grand strategy is not very clear, as many actors with different skills and narrow interests are involved in the foreign policy-making process. This is why Chinese foreign policy sometimes gives outsiders the impression that it is incoherent and contradictory. 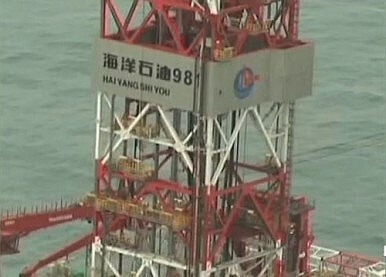 Just like China’s decision to install oil rig 981 in the disputed waters, there is no doubt that one day China will move oil rig 981 to the South China Sea again, though the exact timing (whether it is May or March) could be somewhat random. But the international community should not be surprised by this decision and they certainly should not be surprised when Chinese oil rigs come back to the South China Sea someday in the future. In short, why China decided to remove the oil rig is not that important. What are important are the long-term strategic plans of China and the implications thereof for China’s relationships with Vietnam and other Asian states. Two predictions can be made now: 1) China’s oil rigs will come back, and 2) Vietnam will continue to frustrate China’s efforts and ambitions. Focusing too much attention on China’s concrete foreign policy decisions instead of China’s strategic plans at the macro level will only produce questionably useful policy implications for how to deal with China’s rise. What is the long-term significance of China's decision to move an oil rig into Vietnam's exclusive economic zone in May 2014?